I work with academia frequently, and therefore, get a chance to interact with students and experience the issues they face first hand. I recently had a very interesting experience during one of these visits. I will try to present the experience as a story. The problem that I had was with his choice of data types. He had chosen a fixed-length data type – CHAR. I explained that CHAR, being a fixed-length data type, pads a string with trailing blanks when the data is stored to achieve the fixed-length. Variable length data types (e.g. VARCHAR), on the other hand, do not pad trailing blanks, and therefore, have a variable space requirement. Using the output of the above query, it became easy for me to explain that because CHAR consumes the full 50 characters, the SQL Server consumes a space of 50 + 50 + 50 = 150 bytes irrespective of the amount of data actually being requested for storage. Again, I inserted the test data and ran the length determination queries. The results spoke for themselves, and he quickly grasped the concept that I was trying to put forward, i.e. variable length datatypes have varying storage requirements, making them more efficient from a storage perspective. Because the concept was clear, he proceeded with converting his existing table designs to use variable-length data types using the ALTER TABLE…ALTER COLUMN statement. However, he found that the ALTER TABLE…ALTER COLUMN statement did not make a difference to the storage requirements. The reason, I explained, was that once SQL Server has added trailing spaces, it is no longer able to distinguish between an intentionally padded and an automatically padded version of the same string (e.g. ‘BeyondRelational.com ‘ (3 spaces) from ‘BeyondRelational.com’ (no spaces)) and therefore, SQL Server will not be able to release the space allocated to the trailing spaces back. The only option for him was to drop-and-recreate the tables and then re-insert all his test data. There are not one, but 2 very good reasons why I shared this experience with the community. 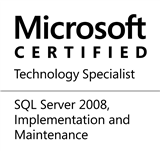 This entry was posted in #SQLServer, Blog, Imported from BeyondRelational and tagged #SQLServer on January 2, 2012 by nakulvachhrajani. There is a way SQL Server can distinguish those trailing blanks, with the functions RTRIM and LTRIM. There is no need for dropping and re-creating tables and re-inserting data.